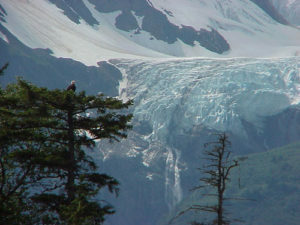 Looking for the perfect summer rental in Haines, Alaska? 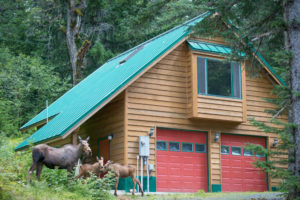 This comfortable Haines Alaska rental house is located slightly south of the town of Haines, in a quiet neighborhood on waterfront property, nestled amidst old-growth spruce and birch in the rain forest. Short term or long term rentals are available, by reservation. The apartment has a queen bed in a partitioned bedroom, fully furnished kitchen, private bath with shower, and a futon couch in the living area. The garage is available for your use as is the washer and dryer. Limited Wi-Fi, TV with DVD and VCR (no satellite or cable TV), radio, BBQ grill, private deck, oil heat and optional wood stove. There is a two-night minimum stay. Special rates are available for long term rentals. Need transportation while in Haines? We have a special package that provides for the use of a 4WD SUV (Chevy Blazer). This is the best deal in town for your automobile needs. Ask for details when contacting our property manager. come find the Alaska of your dreams at SuCasa!